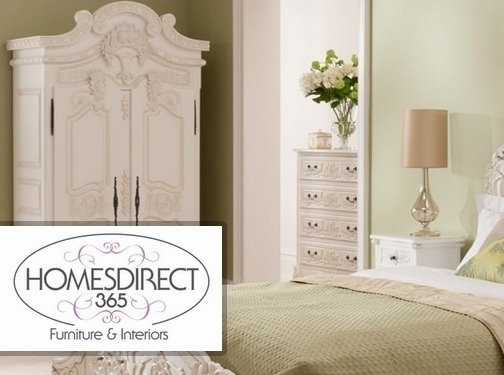 Homes Direct 365 are an online only retailer specialising in antique French furniture, shabby chic furniture, mirrored furniture & french bedroom furniture available for all rooms of the home from bathroom vanity units to decorative mirrors to gorgeous bedroom sets. We have a constantly increasing variety of over 10,000 beautiful furniture and home accessories. We supply a wide range of furniture throughout the entire United Kingdom and many parts of Europe, we have been known to ship to the USA and Australia on special circumstances but this requires extra shipping charges. UK (Middlesbrough) based business providing a wide range of furnishings. Website includes e-commerce facilities, delivery and returns information, terms and conditions, regularly updated blog, full contact details including company registration and VAT numbers.